KIEV, Ukraine -- The Ukrainian president, Viktor Yanukovich, today conferred the Order of Service of First Grade Cuban Revolution leader Fidel Castro, and the Order of Yaroslav Mudry First Grade President Raúl Castro. 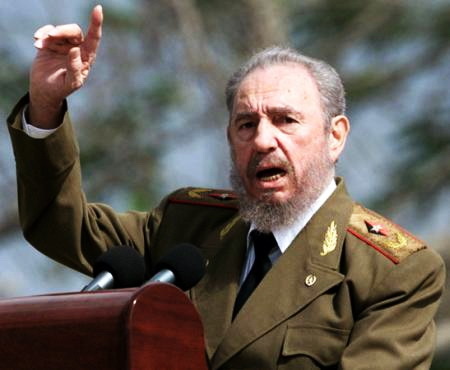 Ukrainian President Viktor Yanukovych honored Fidel Castro with a medal. The high honors are awarded to the two leaders “for his personal contribution to the development of Russian-Ukrainian cooperation,” the relevant presidential decree. Yanukovich also decorated with the order of Yaroslav Mudry fifth grade the health minister of the Caribbean island, José Ramón Balaguer, who made a significant contribution to the Russian-Ukrainian cooperation in the field, local media reported. Balaguer also contributed decisively to a program of rehabilitation of Ukrainian children affected by the catastrophe at the Chernobyl nuclear power station, which occurred on 26 April 1986. According to information from the Presidency, Yanukovich underlined the efforts made by Cuba in the struggle against the consequences of disaster in that nuclear power plant to serve more than 20 thousand children since the program began on March 29, 1990 . Fidel Castro attended on that occasion at the José Martí International Airport to welcome the first recipients of the program, 139 children who presented different pictures of onco-hematological diseases. Next to Tarara rehabilitation center, home to the Children of Chernobyl program, they work on other specialized Cuban hospitals, where they made at least 16 heart surgeries and more than 600 neurological and orthopedic operations. Of the patients brought to Cuba under that program, 300 were suffering from blood diseases and 124 leukemia.